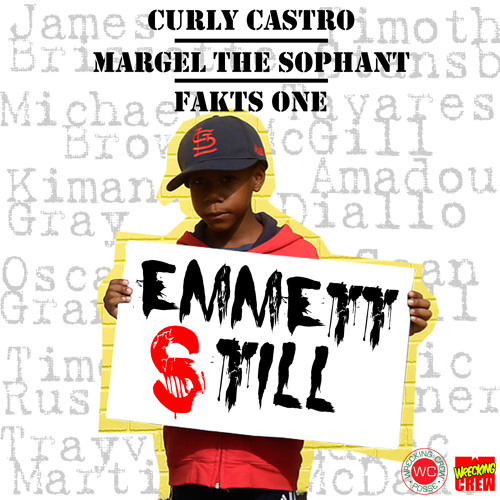 This is the incindiary first single for the long-awaited Curly Castro x Fakts One opus - Restroy & Debuild. While the metals are still being forged on the weaponized album, Castro felt during these lost days, a statement was necessary. Emmett Till will never be forgotten, and this racial chaos is STILL occurring. So we must Stand, Fight, and Scream for our Justice. and this track, Emmett Still, is my banshee scream into the closing night. With the vocal stylings of Margel the Sophant to lead all the wandering souls, and the acoustics provided by the legend- Fakts One, we hope it helps light the way towards Rebellion. -Wrecking Crew -Restroy & Debuild coming soon.